“‘… Inasmuch as ye have done it unto one of the least of these … , ye have done it unto me’ [Matthew 25:40]. He talked of sharing the burdens of others. We are the Lord's hands here on the Earth. Each of us faces the challenge of balancing earthly possessions against spiritual treasures. Our treasures on earth can be destroyed in an instant. 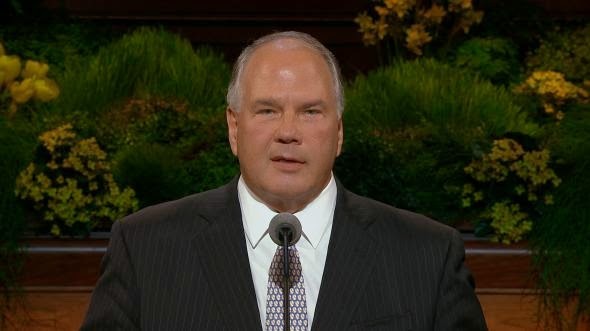 Elder Rasband recounted an Oklahoma tornado survivors story. They were protected by angels. Often we are given the opportunity to help others in need. the joy that comes from sacred service.